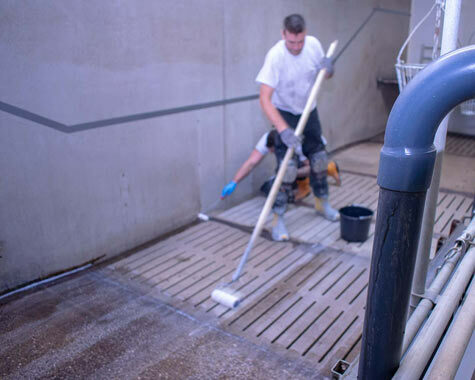 Mesa Coatings has been the market leader in hygienic coatings for years in the professional agricultural sector. Suitable for pig farming, as well as poultry farms, cattle farms and even goat farming. 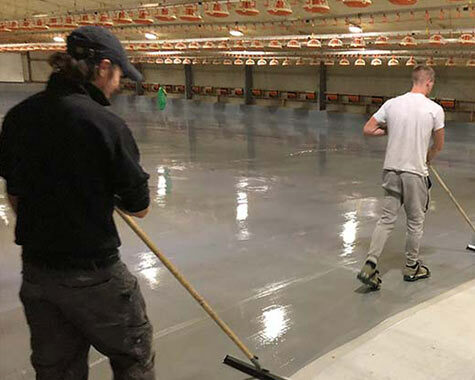 You can use coatings for the loading and unloading areas, hygiene lock, central corridors, but also for the maternity ward, piglet departments, meat pig departments and the breeding loft. 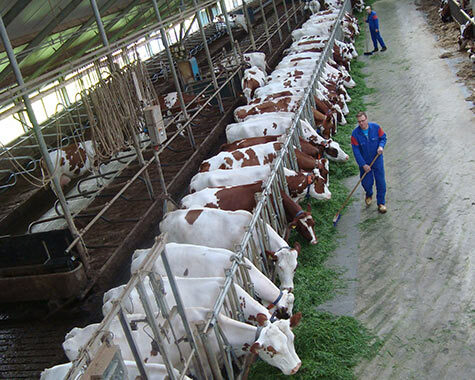 We also offer various specific solutions for poultry and cattle farming. The farrowing pen is the delivery room: the important heart of your business. Nowhere are hygiene and the accompanying protocols so essential. 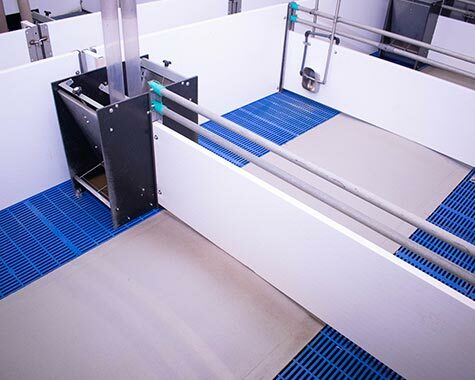 Our HyCo systems are well suited for the seamless finish of this farrowing stall. Tailored to the characteristics of the compartment, with which we can guarantee optimal hygiene according to the required regulations. As soon as the sow leaves her piglets, they go to the piglet department, where optimal hygiene is of great importance. The small piglets weighing up to 8 kilograms are vulnerable, such as small children. They need hygiene and safety, through a liquid-tight floor with anti-slip finish. In the clean environment we ensure sufficient grip, without the risk of skin damage. Our HyCo specialists are happy to help you determine the ideal finish for your piglet or piglet detachment. As soon as the piglets begin to puberty, you can transfer them to the fattening department. There they will stay for about 12 to 14 weeks. Hygiene and grip are still important requirements here. Our hygienic coating systems help to keep the infection pressure within bounds. We seal the porous surface so that the compartments can be cleaned and disinfected more easily. The incubation period of harmful microorganisms can be up to 3 years, making thorough cleaning of the floor essential to prevent diseases. Moreover, with granulate we guarantee more grip, so that your pigs do not slip. Our HyCo specialists analyze the compartments and can advise you on this basis. Finally, our hygienic coating systems are ideally suited for the rearing house. Again thanks to the extra grip by means of an anti-slip finish, but mainly because of the sealing of the porous structure. This makes cleaning and disinfection easier, as dirt and germs can not hide or cling to them. In this way you create a hygienic and safe environment for your pigs in the rearing house, to prevent diseases and other problems. Good cleaning prevents the introduction of unwanted germs. This applies to the places where people enter or leave the company, but also for the animals. Our specialists analyze the situation at your site to determine the right coatings for loading and unloading areas. Based on that, we choose the finish that is best suited and offers the most hygiene. The hygiene lock is the important access to every professional pig farm. People have to take a shower and goods that are taken inside are taken through a special UV cabinet. Important measures to minimize the risk of contamination. The hygiene lock requires a 100% liquid-proof floor. Easy to clean, safe thanks to anti-slip and also UV-resistant. Our MesaCon 6000 floor system offers all these important features. In addition, we can finish the floor with our MesaCon skirting system, for a seamless connection to the wall. The central corridors form an important traffic route within your professional pig farming. We apply a seamless flooring system, both for the floor and the wall. Easy to clean and safe thanks to anti-slip. These are important corridors for employees and at the same time the arrival and departure routes for the pigs. Optimal hygiene is therefore of the utmost importance.